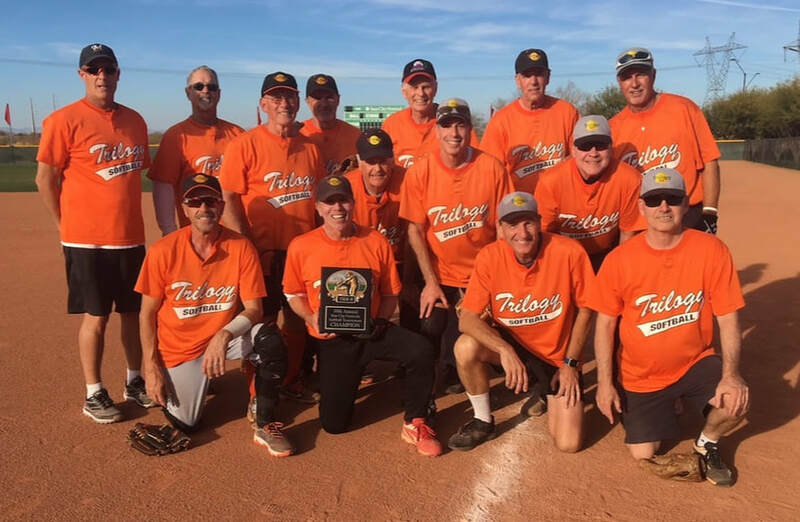 The Trilogy Tier II team coached by Jack Perveiler and assistant coach Ron Guagenti was the 2018 Sun City Festival Tournament Champions. They went 3 - 1 to be the #1 seed and won two games in the playoff bracket beating the Sidewinders 65 team 19 - 18 to win the championship. 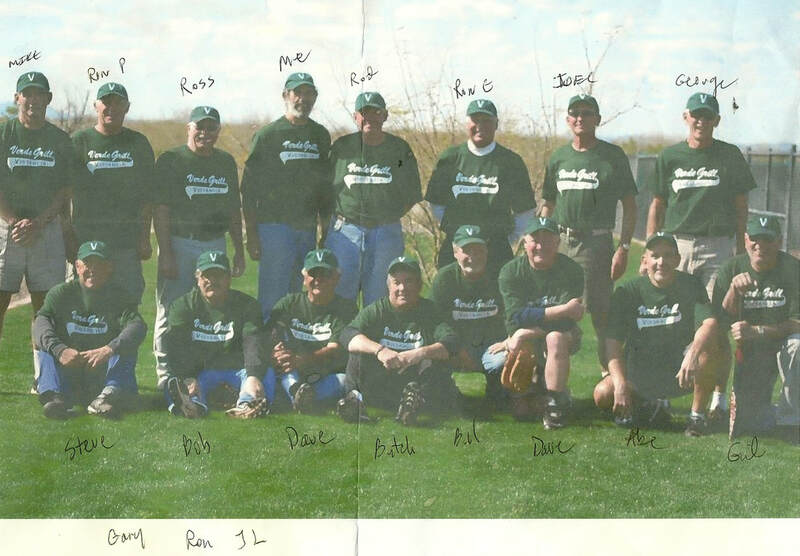 Special thanks to Tom Nolan for providing us with a photo of the original Trilogy Softball Team. 7. Unknown, 8. Russ Gromolski, 9. Glenn Turner, 10. Jerry Comer, 11. Pep Hickman, 12. 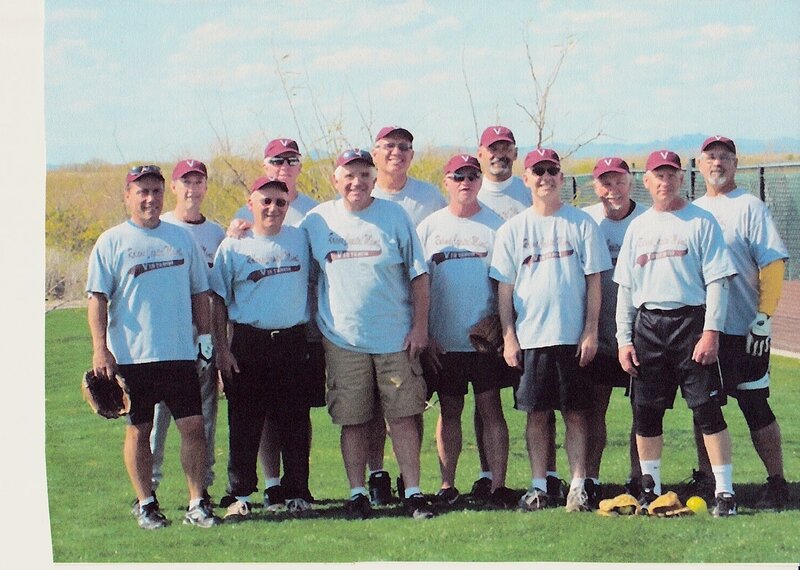 Pete Bell.